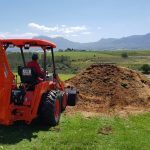 Having been in the plant hire business since 2006, 2Hire, a plant hire company that specialises in the rental of compaction equipment, is well aware of the dangers of compromising quality when it comes to selection of equipment. 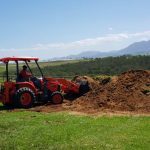 Consequently, when the company recently scouted for a tractor loader backhoe (TLB), settling for a Kubota L45 became a “natural choice”. To sustain a hire business, buying a quality product is non-negotiable. For 2Hire, the Kubota L45 seemed a natural choice. 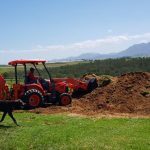 2Hire dug its way into the plant hire business back in 2006 and currently has three hire branches in the Garden Route, situated in Knysna, as well as George and Mossel Bay. A service-orientated business with its eyes on mainly the building and civil construction markets, 2Hire specialises in the rental of small gear, including 3-tonne sit-on rollers, pedestrian rollers, compressors, mini-excavators and typical hand-held compaction and demolition gear, among others. Recently, the company decided to add a TLB to its existing fleet. Without much deliberation, a decision to buy a Kubota L45 was reached. 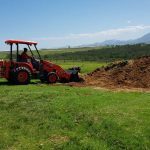 In its first assignment, the TLB was deployed to clean and clear rubble in the Knysna area following the devastating fires that wreaked havoc in the area in June this year, destroying hundreds of properties. The total damage to properties was an estimated R5 billion in a tragedy that saw 700 homes and other structures destroyed by the runaway fires. Clearing efforts are well under way in the area. 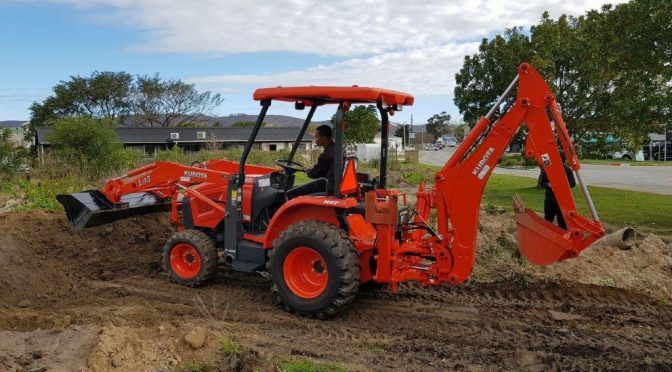 The Kubota L45 was specifically sourced to deal with the effects of the fires and apart from cleaning and clearing, it is also being used to load 2Hire’s tipper truck hauling demolition waste. Once all the demolition is done, the L45 will be deployed to dig foundations and assist with the rebuilding of the properties. 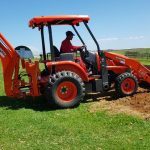 One of the key drivers in 2Hire opting for the Kubota L45 was its compact size that allows it to be operated in smaller areas, especially inside buildings, where conventional TLBs are unable to access. 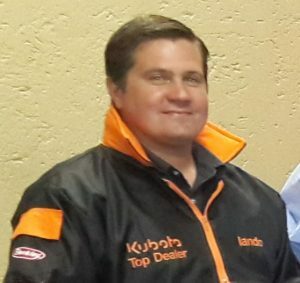 Iando Minnie of Carlu Trekkers, explains that the L45’s 3,2-tonne operating weight makes it a lot lighter than most TLB offerings in the market. “It is not as heavy. 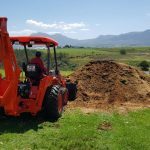 It is narrow and a lot compact that it can fit easily into buildings, fitting the bill for building contractors, landscapers and property developers. 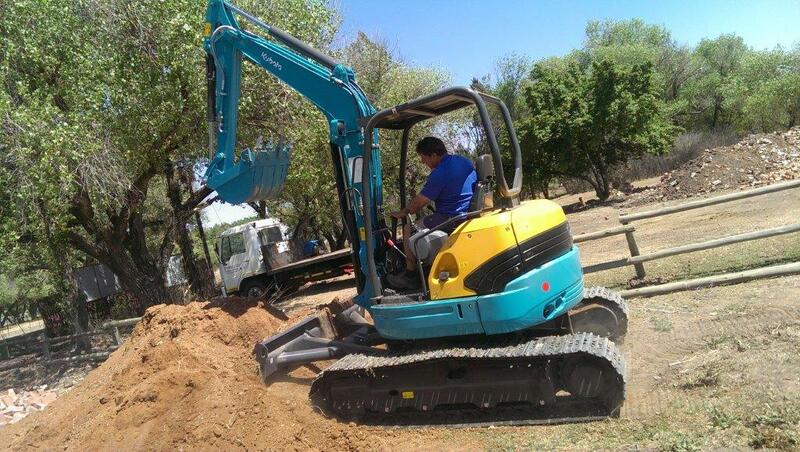 This machine is also ideal for civil contractors and rental companies. 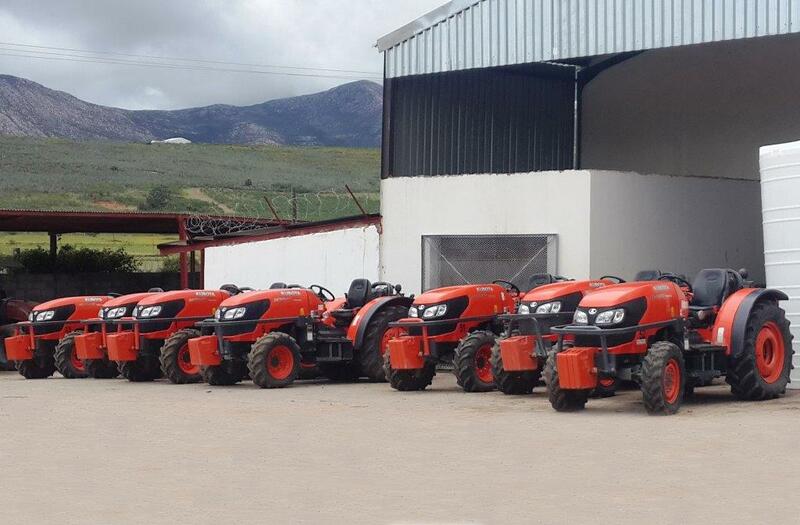 The versatility also leans it perfectly to farm use,” says Minnie. The L45 is said to be a radical redesign and upgrade of the previous model. 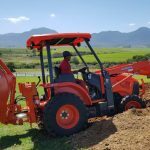 The real game changer on this machine is the new Kubota HST Plus hydrostatic transmission which replaces the conventional Glide Shift transmission (GST) on the predecessor model, the well-known L39. 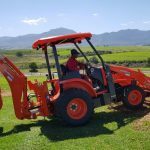 The L45 is also powered by a four-cylinder Kubota diesel engine which generates 45 gross horsepower (hp), compared with the 3 cylinder, 39 hp on the previous model. 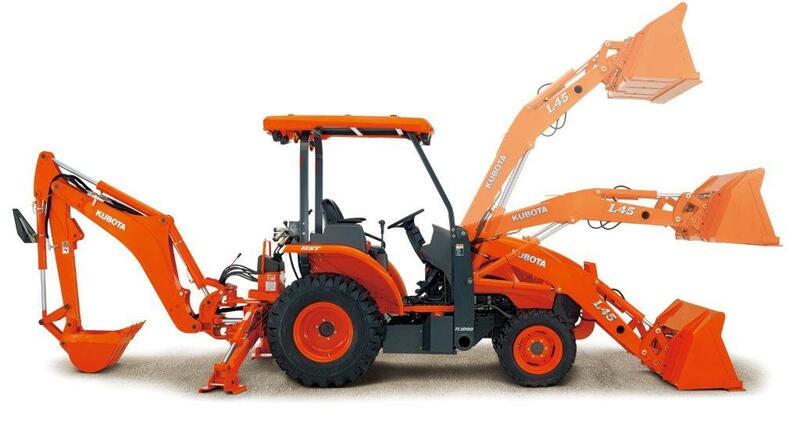 With 1,6t of breakout force, the L45 has a lifting capacity of 1 t at a maximum lifting height of 2,8 m. The hydraulic pump flow has been increased by 12%, resulting in smoother, more powerful performance, while maintaining the superb fuel consumption. Several other features on the L45 are geared at increasing the machine’s uptime. 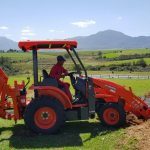 The simple to use quick coupler on the front loader offers easy on/off for buckets with no need for any tools, but only mounting pins and hose couplers. 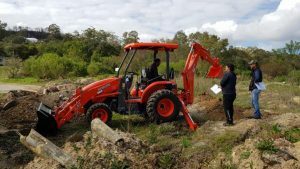 This allows the operator to move onto the next task in a matter of minutes, reducing downtime related to changing of attachments. 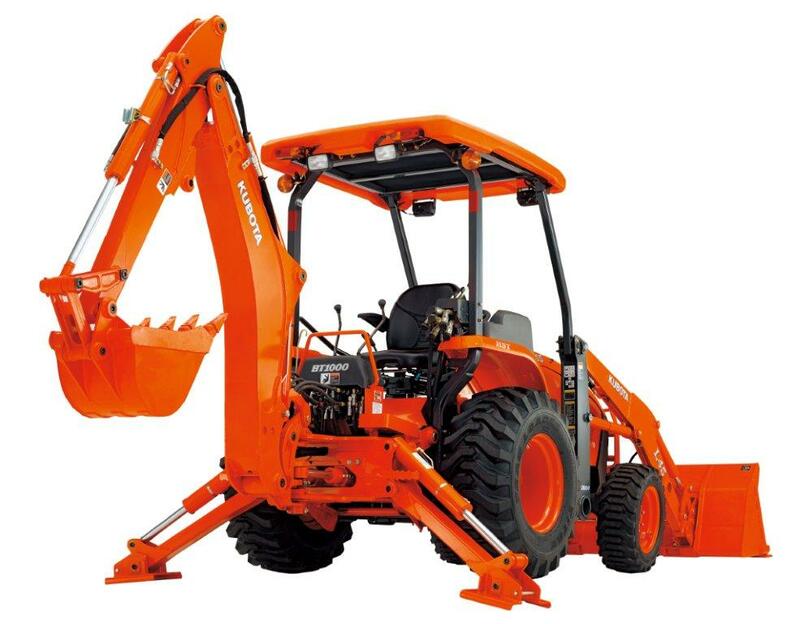 The backhoe also features a four-point quick-mount attach/detach system, allowing the backhoe to be removed and installed easily. 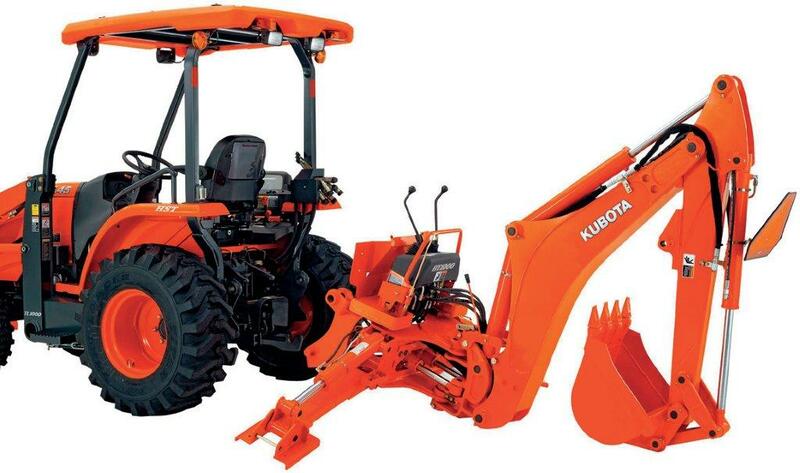 Visit the Kubota website [click Here]. 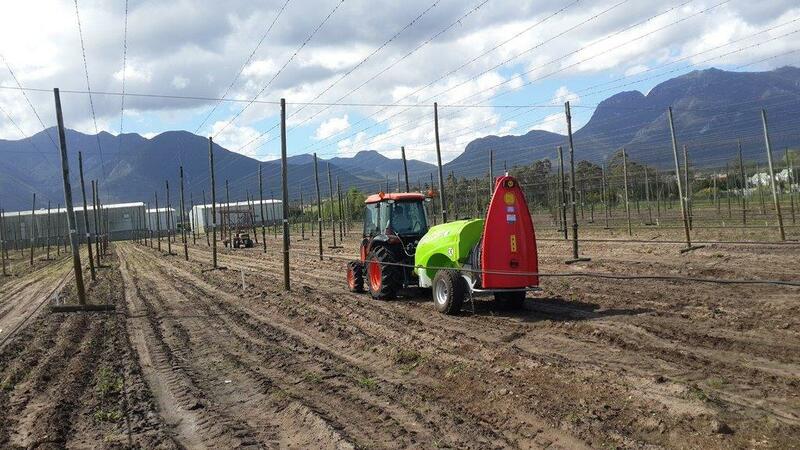 This article has featured in the FarmTech – Nov Dec 2017. This article was featured on the Farmers Review Africa [click here] and in their publication Farmers Review Africa – November 2017.